The world news website of one of the world's most prestigious news organizations, offering an unrivaled global network of journalists reporting from all corners of the globe. If you prefer listening to the BBC World Service, its radio programs are streaming online. Produced by Global News Enterprises of Boston, globalpost presents non-partisan, unbiased information focused heavily on political and social issues, but also includes reports on other topics such as business and sports. The site is arranged by world regions and features many color photographs, videos and audio content. Please note: These news sources are "alternative" in the sense that they are coming from outlets other than the big news conglomerates or the major national news organizations. They are legitimate news organizations, not organizations peddling "fake news" or "alternative facts." AltWeeklies.com brings you 'the best, most insightful, thought-provoking news and features published in the 130 papers that belong to the Association of Alternative Newsweeklies,' including Boston's Weekly Dig. FactCheck.org, a project of the Annenberg Public Policy Center of the University of Pennsylvania, "aims to reduce the level of deception and confusion in U.S. politics. It monitors the factual accuracy of what is said by major U.S. political players in the form of TV ads, debates, speeches, interviews and news releases," and provides documented analysis. Archived December, 2003- present. Each article offers in-depth analysis and sources for further exploration of a topic, searchable by keyword. FlackCheck.org offers information on reliable websites to use for research; organized by topic and section. FAIR is "a media watch organization offering constructive criticism in an effort to correct media imbalance." Its approach is "to work for the inclusion of new viewpoints, not the exclusion of old ones." FAIR publishes Extra!, the award-winning magazine of media criticism, and produces the weekly radio program CounterSpin, the show that brings you the news behind the headlines. "On the Media...casts an incisive eye on fluctuations in the marketplace of ideas, and examines threats to the freedom of information and expression in America and abroad." Listen to the weekly program via streaming audio or read the transcript. Previous shows are archived back to 2001. Aims to "help both the journalists who produce the news and the citizens who consume it develop a better understanding of what the press is delivering, how the media are changing, and what forces are shaping those changes." Welcome to Wallace Library's Guide to News Sources! Image Credit: Newspapers B&W (3)," by Flickr User Jon S. License: CC BY 2.0. Compiled by your friendly librarians at the Wallace Library, this guide provides an overview of news resources (both current and historical) available to students, faculty, and staff at Wheaton. Probably the most highly regarded news radio network in the United States, and arguably the best-staffed one. Transcripts, recordings, and live streaming of programs are available. News website of the Associated Press (AP). An electronic gateway to local, national and international newspapers and U.S. media associations. 50States.com also provides quick state facts and maps. Provides public access to the political process via television coverage of the U.S. House and Senate, the Supreme Court and the media. Founded in 2000 by John McIntyre and Tom Bevan, Chicago-based RealClearPolitics.com (RCP) "culls and publishes commentary, news, polling data, and links to important resources from all points of the political compass." Updated continuously. "National, daily, independent, award-winning news program hosted by journalists Amy Goodman and Juan González. Pioneering the largest public media collaboration in the U.S., Democracy Now! is broadcast on Pacifica, NPR, community, and college radio stations; on public access, PBS, satellite television and the internet." Past shows archived from 1996- present. Community newspaper serving towns in Southern Massachusetts, including Attleboro, Foxboro, Mansfield, Norfolk, N. Attleboro, Norton, Plainville, Rehoboth, Seekonk, Taunton and Wrentham. Print holdings are retained at the library for current 3 months. Available from 1985 to present in print holdings in the Gebbie Archives, Wallace Library. Click on the link above to view current issues. Historical (1851-2014) file includes indexing and full text articles and full page images. Full text is not available for any articles affected by the Supreme Court ruling on the Tasini case (freelance writers and copyright). For current access, register for the free campuswide access available to all current Wheaton faculty, staff, and students - see New York Times [nytimes.com] for more information. Digital archives of America's iconic news magazine, known especially for its photojournalism, hosted by Google Books. 1936-1972. The LIFE Photo Archives, which include thousands of images never published in the magazine, are also available. Includes newspapers published in the Atlanta region from 1847-1922. From the Digital Library of Georgia, University of Georgia Libraries. Produced by the Digital Library of Georgia at the University of Georgia Libraries, the archive contains newspapers published between 1808 to 1920 in Milledgeville, the state capital from 1803 to 1868. 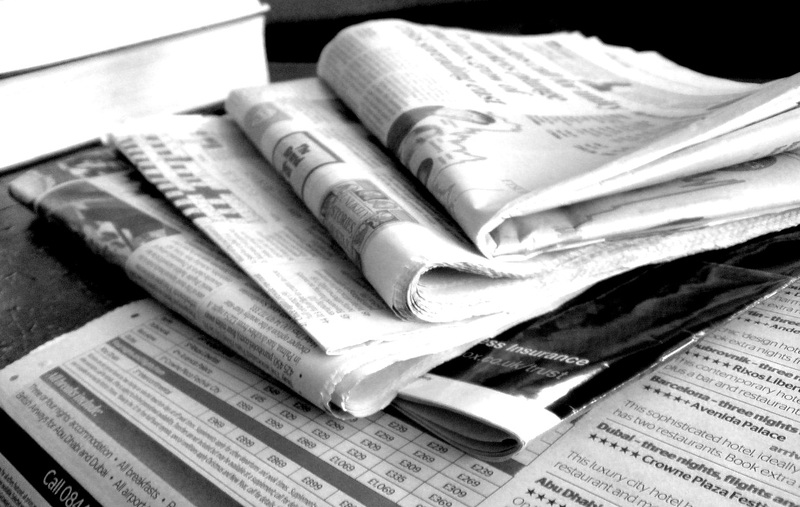 A collection of over 250 digitized newspapers published from the 1800's to the 2000's. A repository of digitized California newspapers from 1846 to the present. Over 400 historic and current Florida newspapers. Digitized by the University of Florida. A collection of over 100 newspapers published between 1850 and 1980. From the University of Utah. Over 300 newspapers published in Wyoming from 1849 to 1922. Produced by the Wyoming State Library. You can also search across these four publications' archives using Gale NewsVault [Cross-Search Daily Mail, Illustrated London News, Times (London) & TLS] . Over 450 Austrian newspapers published from the 18th to the 20th centuries. Produced by the Österreichische Nationalbibliothek. In German. A collection of Canadian newspapers from the early 1800's to the 1990's. From the British Columbia Electronic Library Network. A collection of over 80 newspapers published in New Zealand from 1839 to 1932 and 17 journals published between 1861 and 1975. Digitized by the National Library of New Zealand.